Yesterday was the graduation day. Now I’m qualified as a teacher. 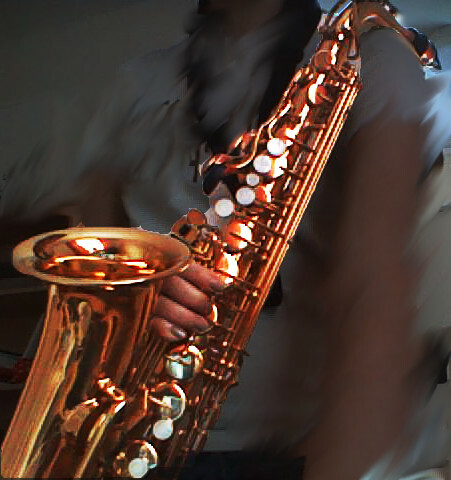 So first thing I do the next day, today, is going back to school and having a saxophone lesson with my friend. I have played with her old alto sax for this semester every now and then but this time I got tips from a real saxophone player. It was lots of fun and laughing. And this time I brought the instrument home after playing. I will buy it from my friend as a graduation gift for myself. Last year it was a ring, this year a saxophone! This entry was posted in Uncategorized on May 31, 2014 by helipauliina. My last year as a students seems to be soon over and my second Bachelor degree completed. This 9 months in Oulu have been really busy. One year ago in Tallinn I was thinking about this year. I actually thought I would have more time for hobbies. But now I realize that I completed over 60 ECTS credits (that is normal for one year studies), I’m not wondering that I felt running from one place to another. There has been many interesting things like project called Particle Plays, a gig in Russia, Ruskatrööttä wind orchestra event in Rantasalmi, FISOC projects in Oulu and Piteå, applying to the competition Concours Debussy in Paris, gigs in Kempele, Rovaniemi, Sodankylä and Kemi, my first real audition in Oslo, Mozart’s Clarinet Quintet, Sonate by Brahms, lots of teaching kids, one more thesis, slowly begininng working in Oulu city teather, and finally my clarinet exam last week. Of course I’ve also met lots of new friends and other people and got to know city of Oulu with it’s many cultural activities. The summer is finally coming. I have no clear plans yet, but for sure I will be playing. Next autumn is also already in my mind while I will try to plan how to combine working in the teather and teaching in Kokkola. But I can say that I’m happy to have job in my own field. This entry was posted in Uncategorized on May 17, 2014 by helipauliina. Spring time is the busy time. Finally my thesis is ready and soon I will publish it here too. It means I have also more time to write this blog. May started fine with a wonderful trip to Piteå, Sweden. We had symphony orchestra project with Festivo International meaning the symphony orchestra brought together students from Oulu, Kristiansand (Norway) and Piteå. We had four days before concert to put together Piano Concerto nr. 2 by Rachmaninov and Organ symphony by Saint-Saëns. I played only in Saint-Saëns so for me those four days were also a break with the teaching the clarinet. I had finally time to practice myself! Lovely. Of course orchestra playing was great too. I met some people I had got to know already earlier in November 2013 when we had our first project together but I also got to know lots of knew people and spent time with friends from Oulu too. The rooms might have been a bit cold but the atmosphere trhoughout the project was warm and happy. It is really important to give these opportunities for young musicians to work together with people from other countries. We also enjoyed a flute concert/exams by our students from Oulu one night. When coming back to Finland I also realized that my exam will be already next week. I’m feeling quite excited about it but maybe also little bit nervous. I still have many things to do before next Wednesday and also things that keep me away from the playing. Anyway, I try to remind myself that it is going to be a really nice concert and I wish my audience to enjoy it. Then it will be easier to forget that it is the final exam. And finally I can wear my beautiful dress! It is possible to follow the concert live from anywhere in the world via Internet live streaming. This entry was posted in Uncategorized on May 8, 2014 by helipauliina.